Dad at 17. A gunner in WWII. My part of the eulogy for my father, Carroll Stanley. He just decided he’d had enough and it was time to go home. As usual, he took matters into his own hands. It was a tragic and unexpected end to his 89 years here. Posting this on my Reasons to Dance blog because it was ultimately my father who taught me to dance, not the steps, but the reasons underneath the steps. Thank you all for coming today to say goodbye to our Dad. I know we all appreciate greatly the ease and the sweetness you brought to his life. I don’t know what my father dreamed of becoming, or what he was afraid of. I know what he hated and what he liked. He liked pretty girls, and dancing with pretty girls, and playing softball, and Hogan’s Heroes, he laughed every time he watched Baloo in The Jungle Book sing The Bare Necessities. We went out for cheese burgers and fries, with a root beer for me and a cup of weak, black coffee for him. The Jungle Book and Cheeseburgers were our tradition. He loved to laugh. The hardest he may have ever laughed was during the Blazing Saddles campfire fart scene…He and my brother Mark laughed so hard they literally fell off their chairs. And cried. Every single time. His was a sophisticated humor. He had a great laugh. When I was writing his obituary I found out he went back and finished high school after he finished fighting in WWII. Jeff Morse told me this on Facebook. 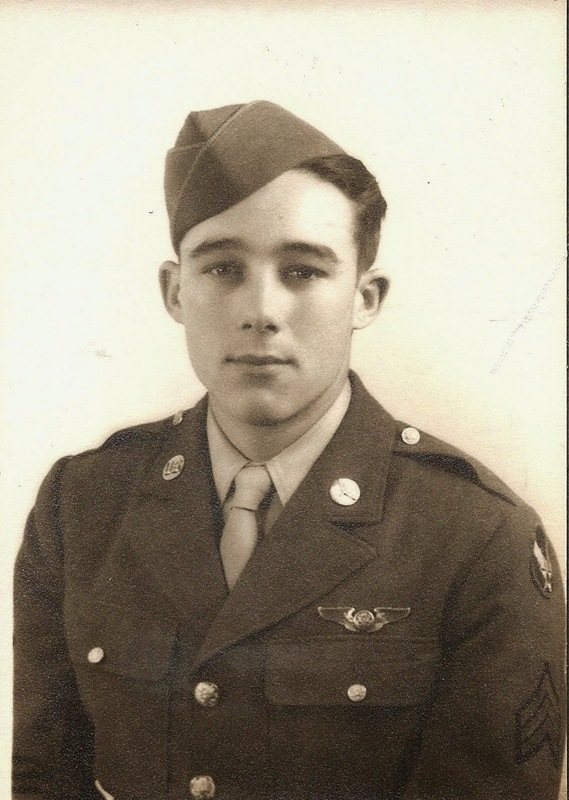 Jeff’s father, Bud, said all of the high school boys were in awe of my Dad, a World War II, decorated hero coming back to get his high school diploma. It was the first I’d heard of it. My Dad taught me that stopping to slide down a ski slope or speed across the top of a lake in a boat that may or may not quit running in the middle of the lake, is a worthy pursuit. That reading the same book, Cleo, every night to your daughter for years is not just something to be endured but a source of bemused wonder. That inviting your daughter to play catch on a Wednesday afternoon in the backyard, or letting her dance on your feet to her favorite song Winchester Cathedral, and then to tirelessly throw her high in the air so she could touch the sky, is the best way to stop time. From my Dad I learned that stopping to play makes life an adventure, something to be learned and survived. It may be because my father taught me that fun is the best thing to have, that I have made my “living” out of playing. And through his earnest pursuit of a thrill or a laugh, he left a legacy of joy that will live on. Working only existed for my father to interrupt the constant renovation and near finishing of a boat or a motorcycle, or an antique car, or four. He retired to “fish” and to race motorcycles until he was 82, and to coach girls how to pitch a no-hitter – and to make several violins for a granddaughter in the hope of making her a perfectly working, beautiful instrument. Nothing ever worked easily for our family. Most transportation or modern conveniences had to be kicked, pushed or sworn at vehemently in an encouragement to start. But that violin is exceptional. He always talked to and listened to kids. He liked to hang out with us, to play games and to dance and was quick to hand over money for pinball so everyone could play as long as they wanted. When it was time for me to stop dancing and playing catch and skiing and failing at pitching, hunting and fishing, I left and went to college. When I was having too much fun in college, he up and sent me off to Europe. With a nun-to-be. He thought I needed direction. Which I did, in fact, find in London. I saw the musical “A Chorus Line” and knew instantly I wanted to be a dancer and play for the rest of my life. And that is exactly what I did. This is not the direction he was hoping for. Dancing is a trivial life on the surface. But, I’ve learned that it’s the trivial things that make us glad to be alive. It’s in these tiny trivial pursuits that we end up having a mostly unintentional effect on the lives that end up around us. My daughter Hannah is a dancer. 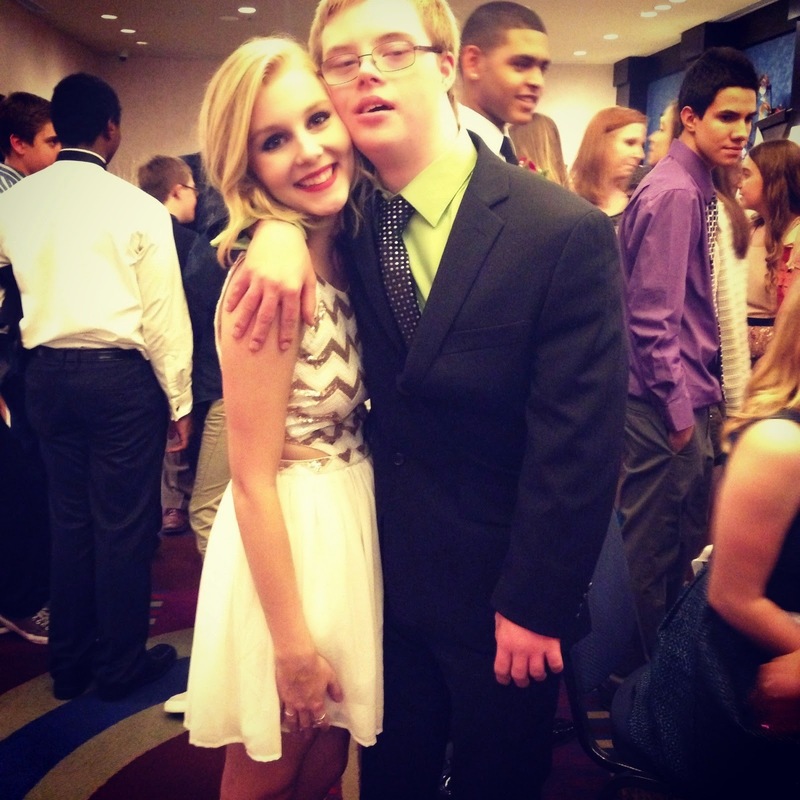 She wants to be an occupational therapist: which means she wants to work and play with special needs kids. She listens to kids. She is a fun, kind soul. 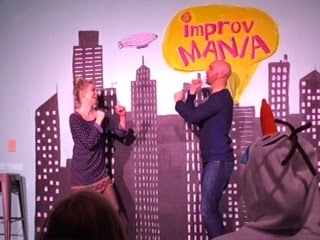 Talia, my youngest, stands up on a stage with her Dad and makes people laugh…and laugh just as hard as at the campfire fart scene in Blazing Saddles. 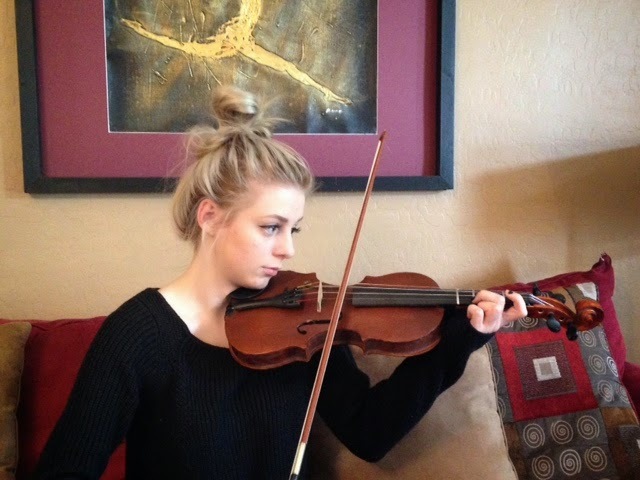 She has a violin made for her by her grandfather. She no longer plays the violin, choosing Uncle Mark’s guitar instead, but she has the honor of knowing her grandfather spent hundreds of hours carefully crafting a beautiful instrument just for her. My Dad heard that Talia wanted to play the violin and with generous determination gave Talia more than an instrument, he gave her desires value. Talia in turn, has also become a tender, generous soul. I have now taught hundreds of people across the world to dance, to pretend, and to believe that fun is the best thing to have. 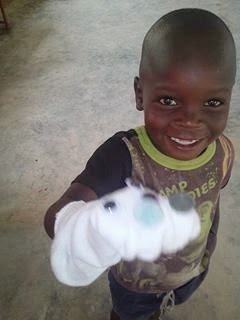 My husband and I went to Haiti to teach volunteers new games to play and how to make puppets and to get up and dance with the littlest earthquake survivors. Those games and puppets then went to the Philippines to play with the typhoon victims allowing for fun amongst the ruin. One man, through one person…and that’s just me. What about the high school boys who admired his dedication to return to high school? Where did that inspiration lead? And the girls he coached in these last years? How will his passion be translated thru them? He didn’t know how far he reached. 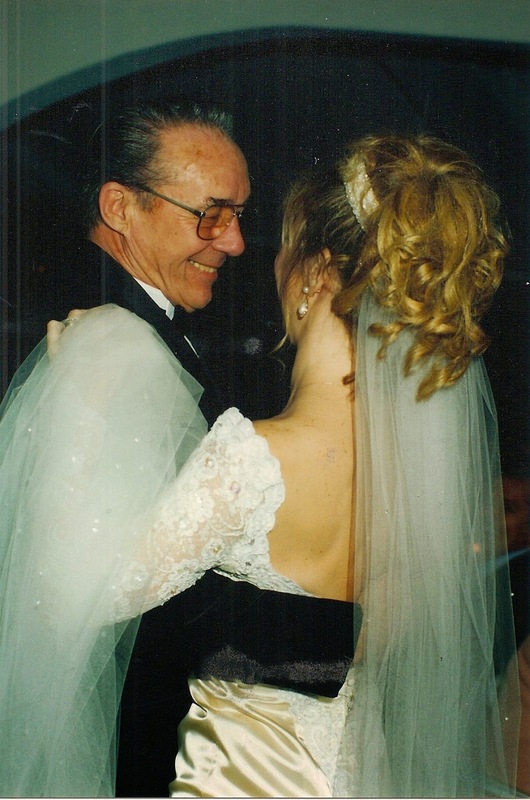 Well, I danced with my Dad on my wedding day to Winchester Cathedral. I did not stand on his feet. We had fun. For this time, rest in peace Dad. We’ll catch up later when I get there over cheeseburgers and The Jungle Book. My Dad. I don’t know what he dreamed of. I know what he hated and what he liked. He liked me.